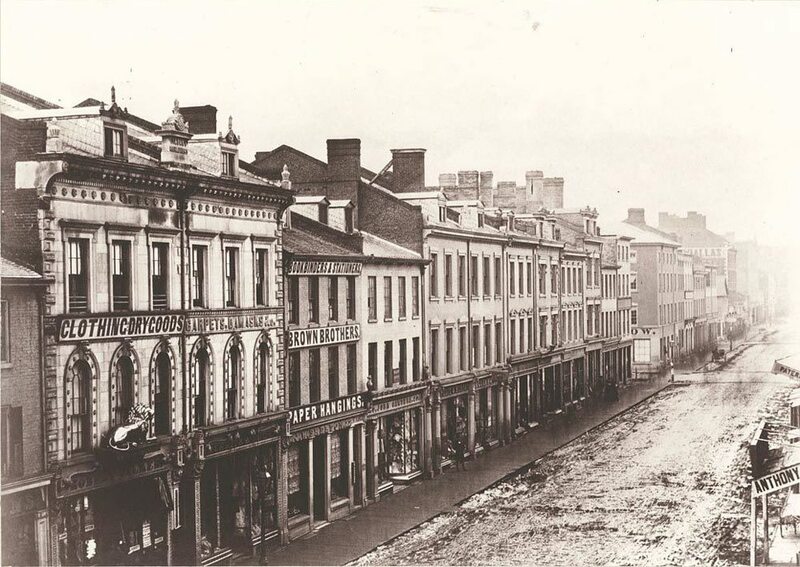 King Street East, south side, looking west, 1856. City of Toronto Archives, Fonds 1498, Item 1. At the left of this row of buildings is the Golden Lion, which rivalled Eaton’s and Simpson’s as one of Toronto’s major department stores during the late 19th century. 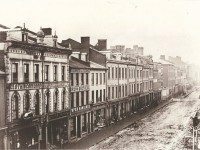 Officially known as Robert Walker and Sons, the store earned its lasting name when a golden lion statue was placed above its entrance soon after it moved to the location shown here in 1847. Renovated in 1867 and expanded in 1892, the store appeared to have a healthy future. But when no one in the Walker family was left to carry on the business, it closed in 1898. Some observers had doubts about the site’s future when the store was demolished in 1901. “In Toronto they are pulling down the old Golden Lion to make room for a new White Elephant in the form of a palace,” wrote the Hamilton Herald. The replacement? The still-operating King Edward Hotel.